Rossmore Engineering was set up in 1980 to manufacture agricultural equipment for the farming industry. The company is based in Clonoulty, Cashel, Co. Tipperary in the middle of the Golden Vale. It’s premises consists of 6600sq metres. It is equipped with modern automated tooling plant and material handling equipment. It produces a wide range of products which it sells to the domestic and international market. The company has a close link with the farming community and in this way can keep in touch with market needs and so develop products accordingly. 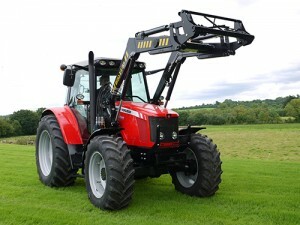 As the only Irish Manufacturer of Front Loaders, the Company has established an excellent reputation for product reliability and quality. All our products are guaranteed Irish. Prior to the development of Rossmore Eng. Ltd the Director William J. Carroll was in the sales & services of farm machinery through the retail Company William J. Carroll Ltd. which is still in existence and based alongside Rossmore Eng. Ltd. It was based on experience and observation of farming trends that Rossmore Engineering was established. The Company is situated in Clonoulty, 9 miles from Cashel and 10 miles from Thurles. Rossmore Eng. Ltd employs a highly skilled work force, with up to date training together with a modern Plant & Equipment. Working closely with the farming community Rossmore Eng. Ltd is continuously developing and upgrading its projects to make farming easy and more economical for its customers. Each year the company exhibits at the National Ploughing Championships where they will have on display a large selection of their products. Prior to the show e-mail us for our stand details. Learn from the past look to the future with Rossmore.